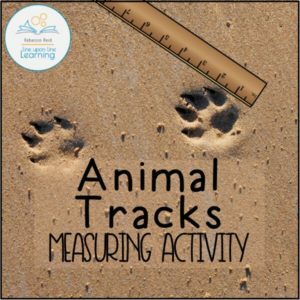 Since learning about various animal’s footprints was a fun activity before, we decided to go further and investigate animal tracks a bit more in depth. 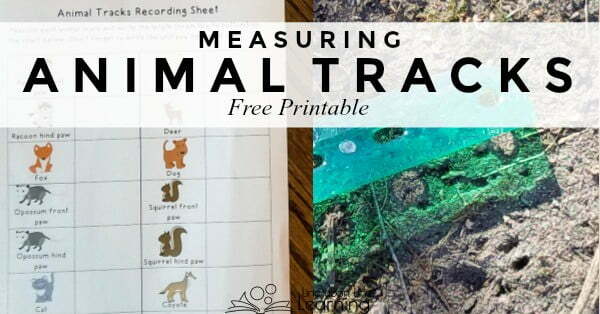 To practice Strawberry’s measuring skills, I made a simple animal tracks measuring activity to help us better understand the sizes of the animals’ tracks we learned about before. 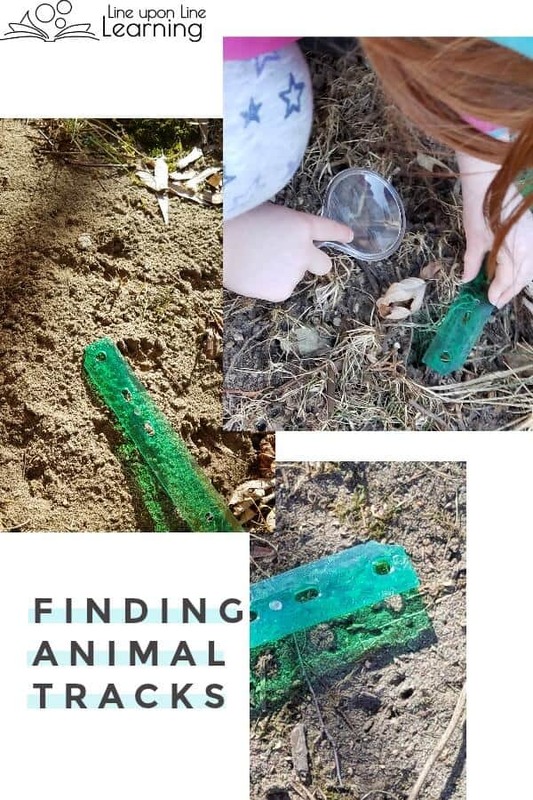 Measuring animal tracks turned in to a fun math activity as well as an outdoor search for the animal tracks in our own yard! Strawberry loves measuring things. I figured it was time to put the desire to measure into context as we measured the animal footprints. 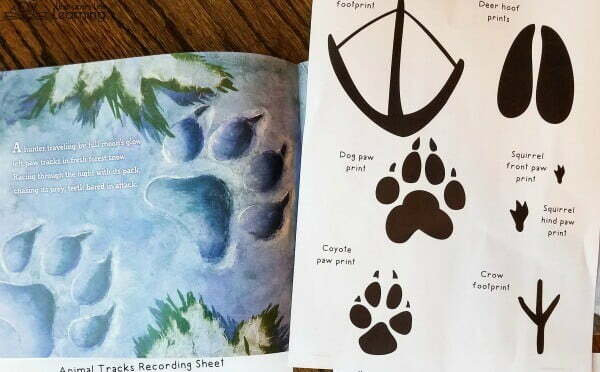 The printout I created shares an average size of animal tracks for 11 different animals (with three animals showing both front and hind paw prints to show the difference in size). 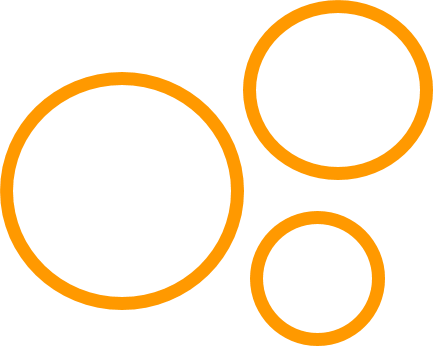 It is important to understand that various animals are different sizes, and since Strawberry has seen many of the animals in real life, on the screen, and in books, it helped her to put them in context when she saw that their paws were different sizes. We read the book Who Was Here? to predict who belonged to each print. On the worksheet, I wrote the animal name by each animal track. As we practiced measuring the animal tracks, we discussed starting at zero, different units of measure (inches versus centimeters) and finding partial units. 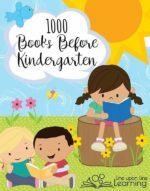 Since Strawberry is only in Kindergarten and is not even 6 years old yet, I focused on half inches and full inches for this project. That was challenging enough for her! As Strawberry recorded the measurements on her recording sheet, she got more and more excited. She was especially excited about the squirrel tracks. 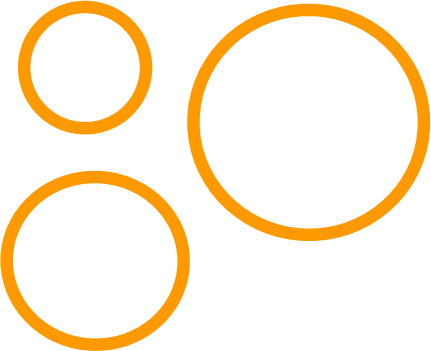 Although our unfenced yard sees many animals (including foxes at times! ), she was delighted to measure the sample squirrel prints. You see, the squirrels in our backyard trees have been given the names of Jack and Jane Fluffytail, so she has a vested interest in them. Last year, Jack and Jane had a few babies, so of course we can’t be sure when we’re seeing Jack or Jane or their unnamed babies, but we make up all sorts of stories about our backyard pets! As soon as she was done with all the measuring, she jumped up ready to go outside and find animal tracks in our own yard. The unfortunate fact was that we did this activity on a day shortly after the snow had melted and the weather had once again plunged below 0 degrees Fahrenheit. (This is a frequent occurrence, one of the down sides of living in Chicagoland.) She was undaunted. We bundled up and headed outside, although I admit we only made it about 7 minutes before we both ran back inside! As we sipped hot chocolate back in the house, Strawberry begged to go for a walk in the forest to find more animals. I hated to give her the horrible news that the subzero temperatures would not let that be possible on that day. She was disappointed. “Well, for my birthday, can we go to a park and find more?” she begged. That’s a sign of a great activity, if it has been granted Birthday Request status! 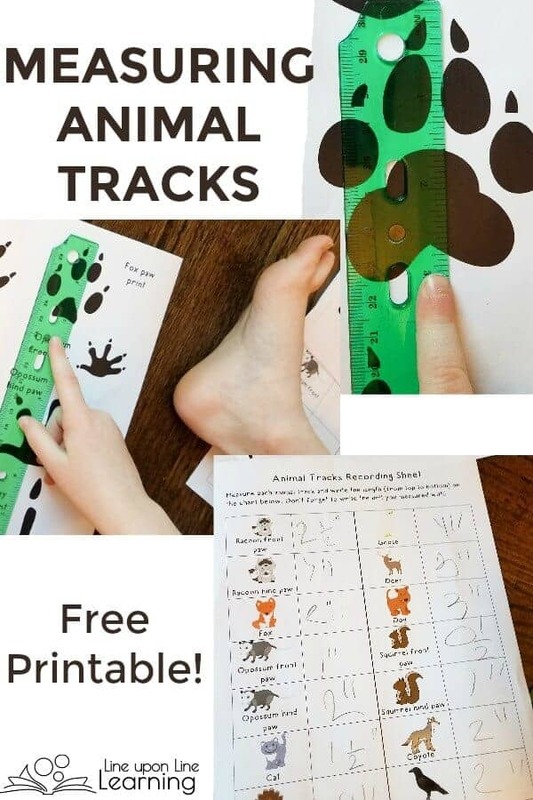 You may also like my Animal Tracks Activities set! 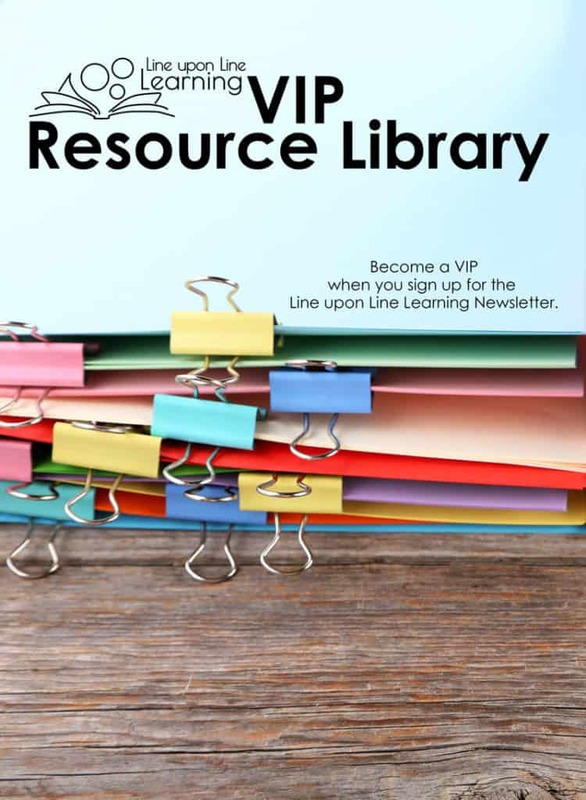 You can download the Animal Tracks Measuring Activity to use with your student or classroom when you sign up to become a Line upon Line Learning VIP. 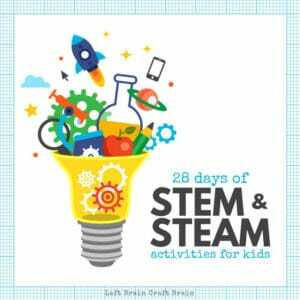 This post is a part of 28 Days of STEM and STEAM Activities!